Less than a year ago you may remember Bourjois released their Rouge Edition Velvet Liquid Lipsticks, I have a couple of these and they’re fab for a day to day lip if you’re looking for a matte finish. 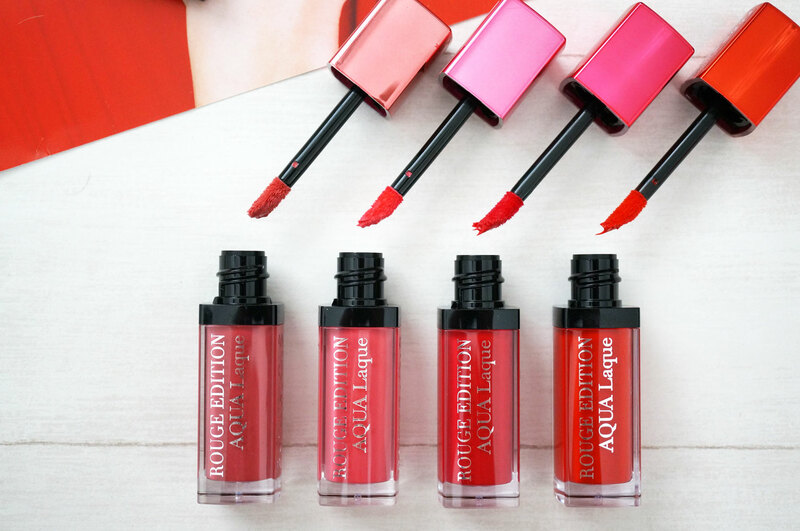 Their latest edition to the Rouge Edition line are the new Aqua Laque Liquid Lipsticks (£8.99), these have been formulated to give a mirror like shine with intense colour, as well as being intensely hydrating for up to 10 hours. They have a non sticky finish and also promise not to run or feather into the edges of your lips, so there’s no need for a lip liner. They come in eight shades from easy to wear nudes to bright reds, and they sound pretty fantastic! 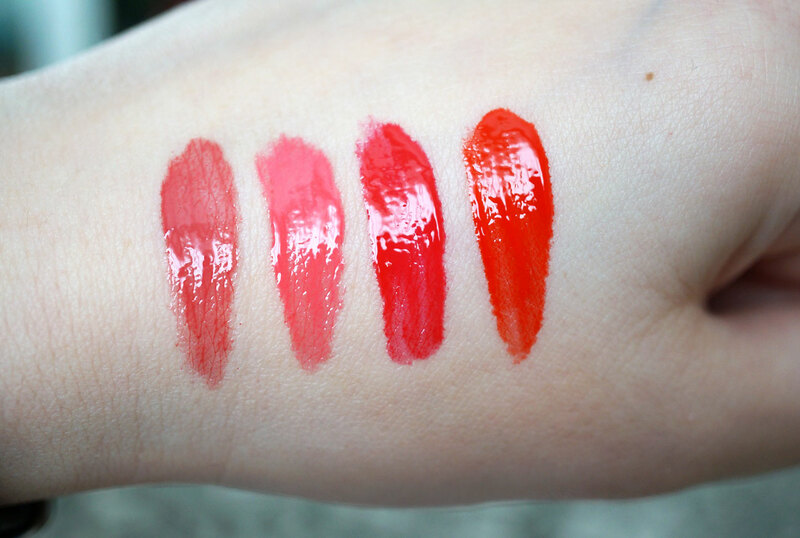 The shades above from left to right are – 01 Appechissant, 08 Babe Idole, 07 Fuchsia Perche, and 06 Feeling Reddy. You can see they’re super glossy, I’d actually say they look and feel more like a highly pigmented gloss than a lipstick. The formula is really silky feeling and hydrating on the lips – this definitely gets top marks from me, but the colour doesn’t seem to last too long though, so you will need to keep reapplying these throughout the day. Even though the staying power isn’t amazing, I still really like these products, I love the way they make my lips feel and the shade selection is just gorgeous too. 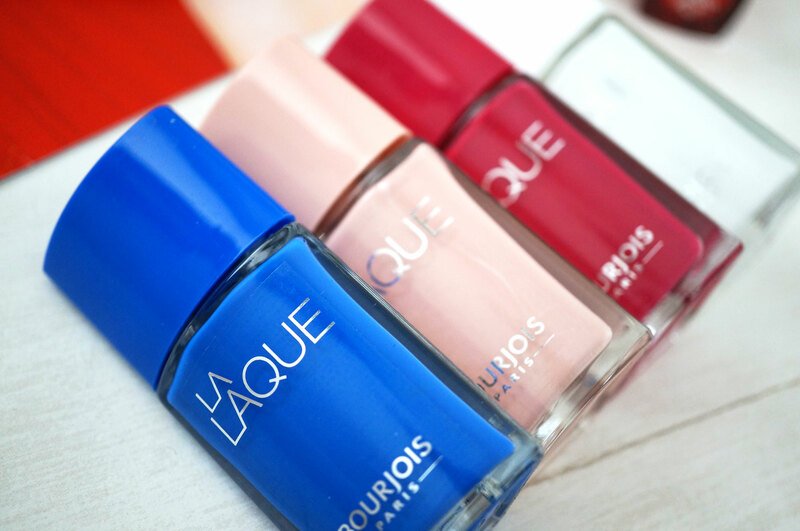 Next up we have the The La Laque Nail Polishes (£6.49). The shades above from left to right are 11 Only Bluuuue, 2 Chair et Tendre, 6 Fuchsiao Bella, and 1 White Spirit. The La Laque collection combines brilliant colour and concentrated enamel pigments to give full coverage and shine from the first coat. Apart from the newly shaped bottles, these polishes also come with a precision brush for accurate application with only one swipe to cover the nail, and a no-drip stem to prevent mistakes and mess. I am in love with these polishes! The brighter colours are right up my street, and just perfect for the coming summer months. Also, the precision brush really does work, you only need one swipe and you’re done! The pigmentation is just fantastic, there’s nothing sheer or watery about these polishes at all. I’ll definitely be getting some use out of these in the coming months! 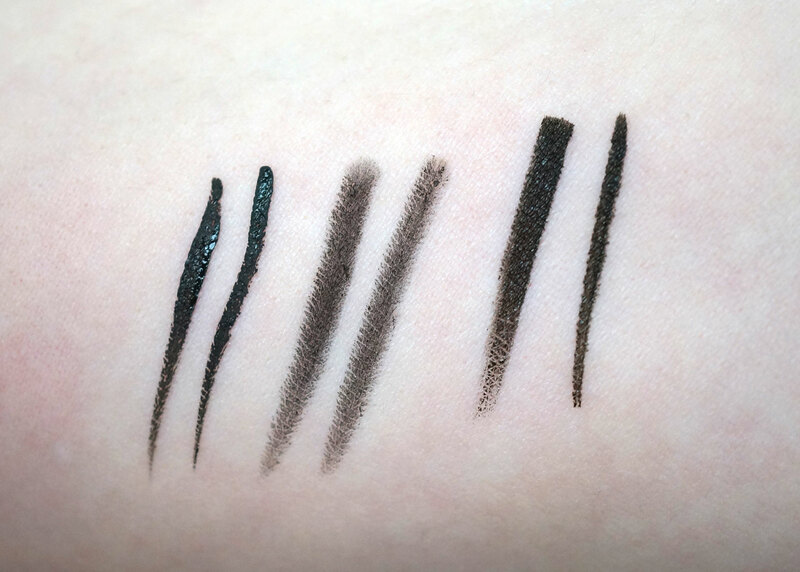 The Liner Pinceau Ultra Black Liquid Eyeliner (£6.99) is the most intensely pigmented out of the three above, I’m not usually a fan of liquid liners but this one really is excellent, apart from the fact that it’s the blackest black, you can easily get a really fine line with the thin and flexible brush. 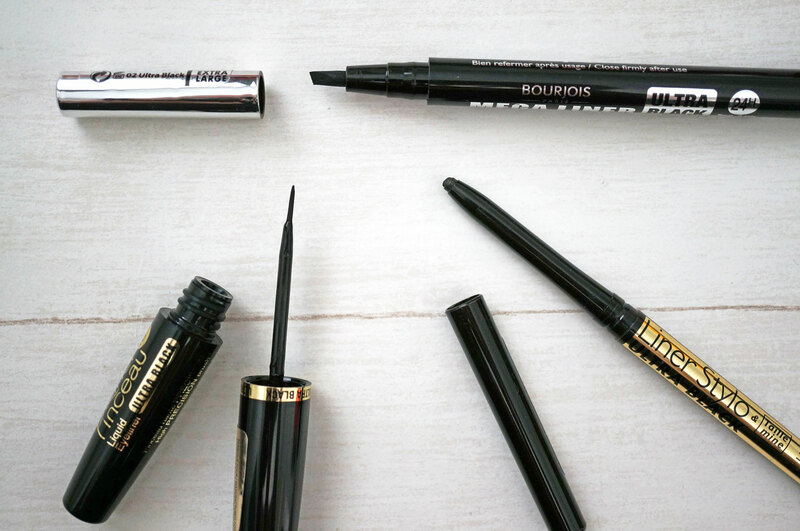 The Liner Stylo Ultra Black Eyeliner (£5.99) is clearly not the most pigmented eyeliner ever, but I find this great for an every day look where you want a black liner that’s not too intense. And lastly the Ultra Black Mega Liner (£7.49) This is my favourite of the three, it has a calligraphy pen style tip, so you can easily get a very fine line or a thicker line, and I just find this so easy to use. I’m a big fan of the pen style, and it’s also a really intense black shade, perfect for creating a nice big flick! 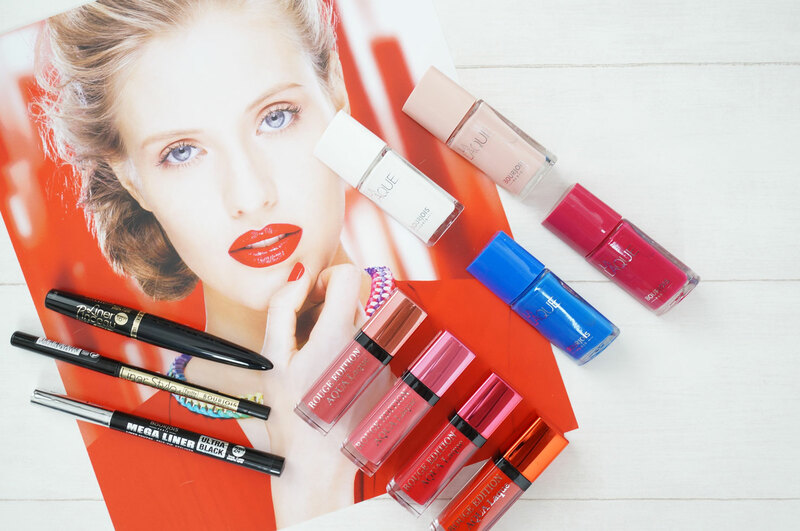 I’m really impressed with all of these products, and I can’t wait to find out what Bourjois have up their sleeves for their next new release! 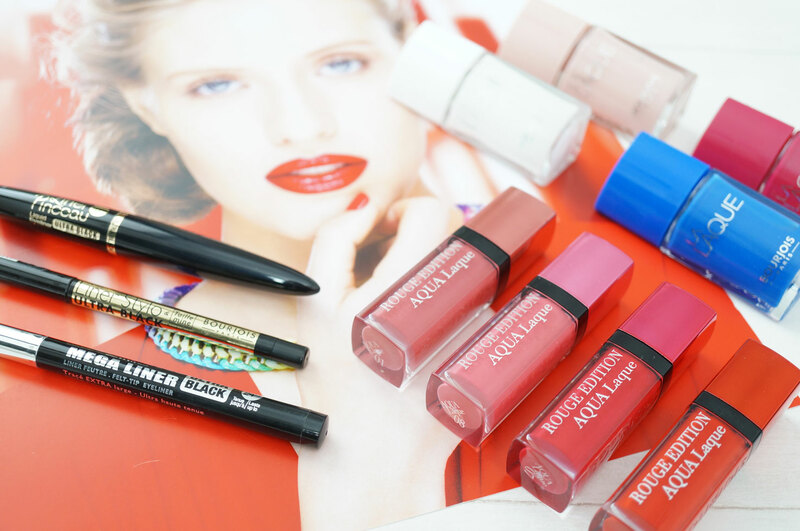 I love those lipsticks – they’ve got a real 40s feel to them. Love it.